Character: Brewed with malted barley and wheat. Hopped with German Perle hops. After filtration, a generous amount of Louisiana strawberry juice is added. One of my earliest memories of drinking craft beer involves a certain beer by Abita Brewing Company. I am talking about Turbodog, their English Brown Ale. I was an instant fan of that beer, and over the last few years, I have had several of their beers, enjoying most of them. Here we have one of their brews from their Big Beer Series, Strawgator, which is the fusion of their Strawberry Harvest Lager sweetness, and the bite of their Andygator Helles Doppelbock. I have been highly impressed with the last few Abita beers, as you will see soon enough, as I do have more reviews to post to this page. For now, let’s get into this fruited Doppelbock. The first thing that caught my attention is the bright green and red used in the artwork of this label. The art is printed directly on the bottle, so there is no paper label on this bottle. The image on the Andygator bottle shows a splatter painted silhouette drawing of an open mouthed gator in green. Well here in Strawgator, it is the same image, but in opposite colors. The background around the gator is green, while the gator itself is black, or in this case, clear, right on the bottle. In the open mouth of the gator is a large red strawberry which uses the gators teeth as the outline for the fruit. The whole image is all in splatter art style. Very awesome looking, if you ask me. This bottle popped right off the shelf, while I was grocery shopping at my local store. I used a stemmed pokal glass for this session as recommended by BeerAdvocate. Strawgator’s appearance was a semi-hazy bright golden color. On the initial pour, the beer was topped with a 1 3/4 of an inch white foamy head. This one had great head retention throughout the session, leaving lines of sticky lacing down the glass. Strawberry was pretty dominant on the nose of this beer, similar to that of dried fruit. Tere was a big body of bready malts, like white bread. The aroma actually reminds me of strawberry glaze, and white cake, very similar to strawberry shortcake. There was wheat, a little bit of spices, and a small floral hop profile in the background. The taste is identical to the aroma. Drinking this beer is like biting right into a strawberry shortcake dessert. Flavors of dried strawberries, strawberry glaze, white bread cake, and whipped cream are all present. Behind this, I can taste wheat, spices, and floral hops. The lingering aftertaste is all strawberry glaze. 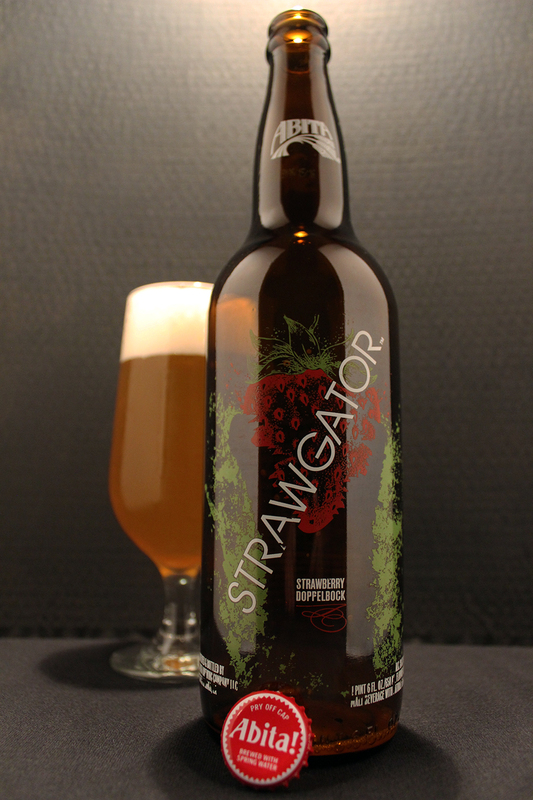 The body of Strawgator is light to medium with a chewy mouthfeel, and a dry finish. There is moderate carbonation, with a slight fizzy bite to it. Overall, I was very impressed by this beer. A strawberry is one of my favorite fruits, and has been since I was a kid. This fruit is difficult to use in a beer, as most of the time the flavor is artificial, and damn near plastic and fake. Abita did a great job with the fruit in this beer. As I mentioned, the characteristics of this Doppelbock and the mixture of strawberry really work well together, giving this beer a unique dessert quality of both fruit and cake. This beer could definitely be had after a good big dinner. Excellent dessert beer! Metal Connection: Finding a song to pair with this beer was easier than you might have thought. 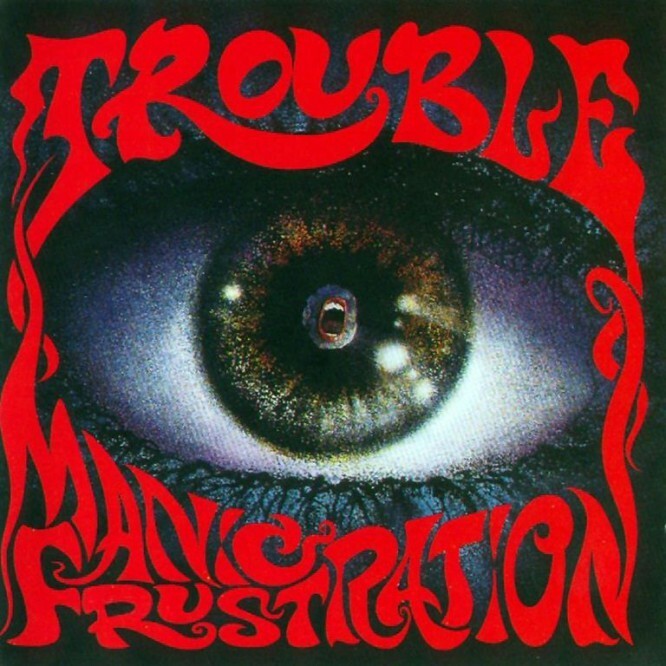 I am a big fan of the Doom/Stoner Metal band, Trouble, and I looked no further than their 1992 album, Manic Frustration for this Metal Connection. On this album, Trouble has a song called “Hello Strawberry Skies,” which is appropriately titled for a perfect pairing. This is probably my favorite Trouble album. Every song has their own identity, and their is an awesome production on this one. The songs are heavy, and somewhat radio friendly, but still never did I hear them played on any Rock channel. “Hello Strawberry Skies” starts off right in your face, and kicks you in the balls over and over again throughout the song. Stoner Metal at it’s finest right here. In my case, though, it’s more of Beer Drinking Metal, and it shall be the same for you reading this. Crank this fucker up to 11, and enjoy an Abita Strawgator! Cheers!